Home Tags Posts tagged with "macaulay culkin’s"
Macaulay Culkin was once the mischievous, cherubic star of the hugely successful Home Alone movies, but now he appeared disheveled and emaciated as he greeted fans in New York on Wednesday. 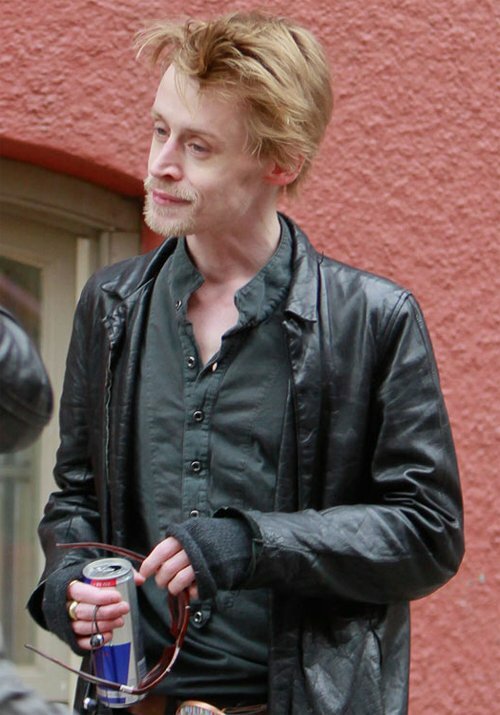 Macaulay Culkin, 31, with his straggly goatee beard and messy hair, looked gaunt as he sipped from an energy drink. On Thursday night Macaulay Culkin pulled out of his monthly deejay gig Le Poisson Rouge in New York City’s West Village. “He’s here all the time. He comes pretty often,” a club employee told People magazine. Macaulay Culkin’s appearance was a far cry from the cute youngster who shot to international fame playing cheeky Kevin McCallister in the 1990 family favorite. He was once Hollywood’s biggest child star, commanding $6 million a film by the time he starred in 1994’s Richie Rich. But the young actor soon hit troubled times and has weathered a number of personal tragedies, including the death of his sister Dakota in a car crash and of his half-sister Jennifer Adamson from a drug overdose. Macaulay Culkin’s career then came to a halt after he was embroiled in a messy financial dispute between his parents Christopher Culkin and Patricia Brentup. In 1998 a judge fired his father – who was his manager – and handed control of his vast personal fortune to an accountant until he turned 18. After a hiatus, Macaulay Culkin returned to films in 2000. However, none of his subsequent movies have come near to matching the success of the Home Alone series. “I’m the most out-of-work actor I know,” Macaulay Culkin once said. In 2004, Macaulay Culkin was arrested after police stopped a car in which he was a passenger and found more than a half-ounce of marijuana and several tablets of Xanax, a prescription medication used to treat depression and panic disorders. He pleaded guilty to misdemeanor charges of possession of medication without a prescription and marijuana. Macaulay Culkin was given one year deferred sentences on each of the charges and ordered to pay $540 in fees. The actor married actress Rachel Miner in 1998 but they divorced in 2002. Macaulay Culkin went on to date Black Swan star Mila Kunis for 8 years before the pair separated in 2010. The Home alone star had a famously close relationship with Michael Jackson during his youth, and even testified for the late singer’s defense in his child-molestation trial in 2005. Macaulay Culkin took the stand and vehemently denied any inappropriate behavior or touching during the times he slept at Jackson’s Neverland Ranch. He was among the mourners at the King of Pop’s funeral at Forest Lawn Memorial Park in Glendale, California, in September 2009. Macaulay Culkin is rumored to be starring in the upcoming British military film Service Man, which is set for release next year.